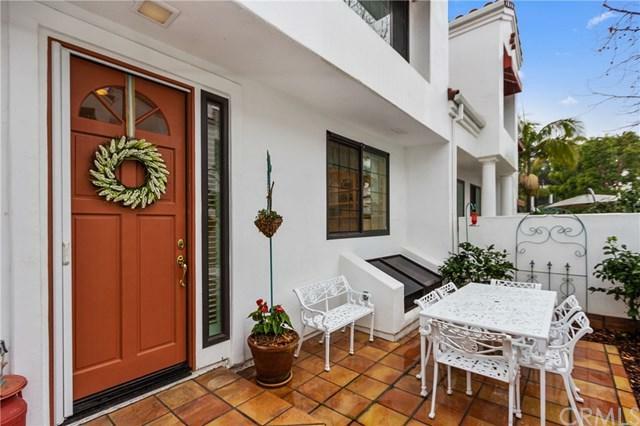 This charming 3 BD/3.5 BA coastal townhome nestled in the resort-like, guard gated community of Pacific Ranch is just minutes from the beach! 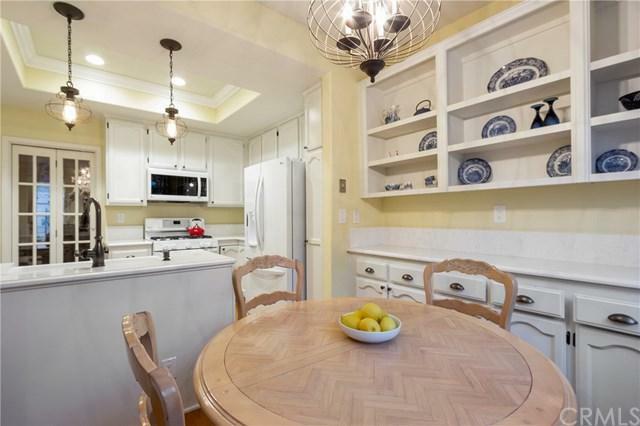 Set in a desirable, peaceful interior location of the complex, this approx. 2,000 sf residence exudes character. Open the gate to your private front patio and impress your guests with the oversized, grand front door. Step inside and notice the Oak hardwood floors and plantation shutters throughout. 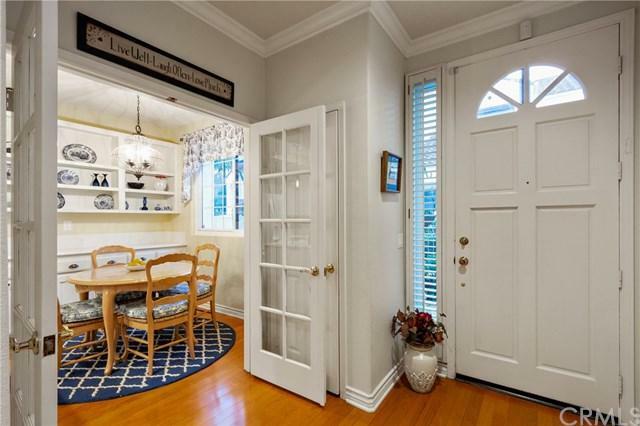 French doors lead to a sunny breakfast nook and a classic light and This charming 3 BD/3.5 BA coastal townhome nestled in the resort-like, guard gated community of Pacific Ranch is just minutes from the beach! Set in a desirable, peaceful interior location of the complex, this approx. 2,000 sf residence exudes character. Open the gate to your private front patio and impress your guests with the oversized, grand front door. Step inside and notice the Oak hardwood floors and plantation shutters throughout. 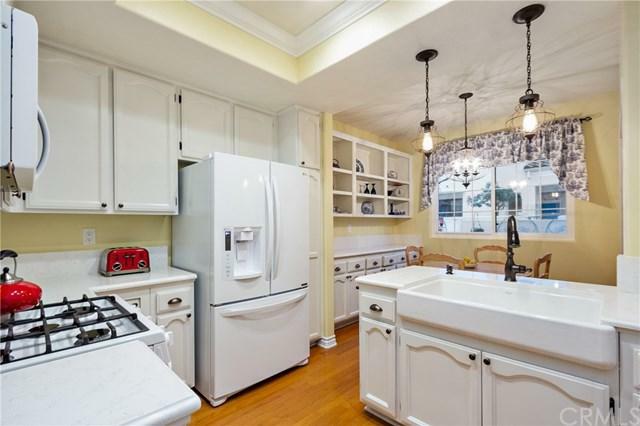 French doors lead to a sunny breakfast nook and a classic light and bright kitchen with a 5 burner gas stove, double oven, farmhouse sink and Quartz countertops. Beyond the kitchen is the dining area adjacent to the spacious living room with a cozy fireplace. Open a tall French door to the back patio which is a picturesque spot to rejoice in the sunshine. On the main floor, you'll also find a half bath conveniently located just off the hallway. The second floor has 2 master suites, each with their own spacious full bathrooms. One suite has an adjoining sitting area complete with fireplace. Downstairs provides the 3rd bedroom with an attached bathroom and walk-in closet, an individual laundry room and direct access to a sizable 2 car garage. Community amenities include 3 different clubhouses, each with it's own pool and spa and the HOA dues include water and trash. Enjoy living near the ocean, Huntington Beach's Main Street, Pacific City, 5 Points Plaza and Seacliff Village Shopping Center. Make this coastal abode in Surf City USA your own!